Developed through a joint-venture between 3 countries including the United Kingdom, Italy and West Germany, Tornado, the origin of Tornado GR4, was a family of multi-role combat aircraft with twin-engine and variable-sweep wing. 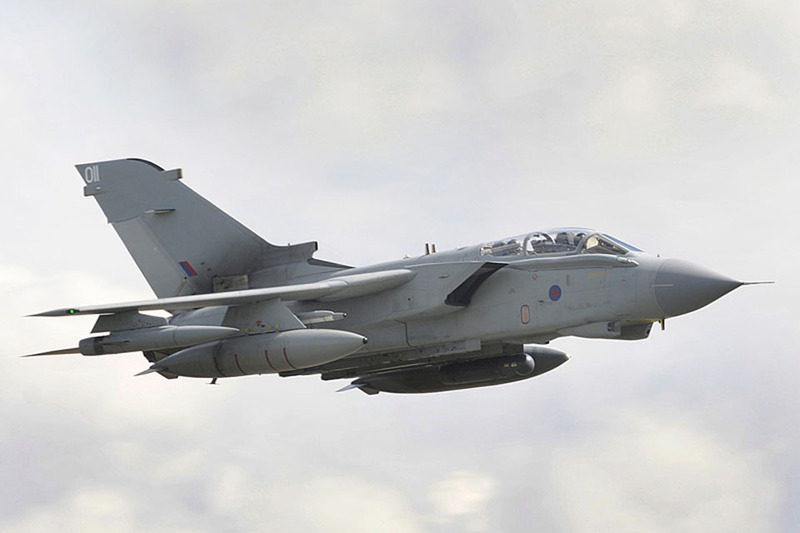 Primarily, there are 3 variants of the Tornado and they are known as Tornado Interdictor/Strike (IDS) fighter bomber, Tornado Electronic Combat/Reconnaissance (ECR) to suppress enemy air defences, and Tornado Air Defence Variant (ADV) interceptor aircraft. Jointly developed and manufactured by Panavia Aircraft GmbH, a consortium that consists of manufacturers from the three countries mentioned above including the United Kingdom’s British Aerospace, currently known as BAE Systems, West Germany’s Messerschmitt-Bölkow-Blohm (MBB), and Italy’s Aeritalia, Tornado completed its first flight on 14th of August 1974 and it was officially introduced into the service in 1979 to 1980. Due to the fact that it is a multi-role aircraft, Tornado was capable of replacing many aircraft fleets found in the participating countries’ air forces and Royal Saudi Air Force (RSAF) also uses it. To continue maintaining the cooperation on the international level among the 3 countries after the production stage, Tri-National Tornado Establishment, a Tri-nation training and evaluation unit that will be based at RAF Cottesmore in England, was formed on 29th of January 1981. Initially, Netherlands was one of the partnering countries in the formation of the Panavia Aircraft GmbH, but they left the project in 1970. The reason given was Royal Netherland Air Force was not too fond of the Tornado aircraft because it was too complex and technical for their liking. After Netherlands pulled out, an agreement was finalized between the 3 partnering countries, stating that both the United Kingdom and Germany will each have 42.5% stake on the workload while the remaining 15% goes to Italy. British Aerospace Company, currently known as BAE Systems, was responsible for developing the front fuselage and tail assembly, and West Germany’s MBB, currently known as Airbus Group, was responsible for developing the centre fuselage while Italy’s Aeritalia, currently known as Alenia Aeronautica, was responsible for developing the wings. Later on, in order to build and develop the RB199 engines for Tornado aircraft, a separate new multinational company, Turbo-Union, was formed in June 1970. The ownership OF Turbo-Union was split among 3 companies, resulting in Rolls-Royce holding 40%, Motoren- und Turbinen-Union GmbH (MTU) holding 40%, and FIAT holding 20%. 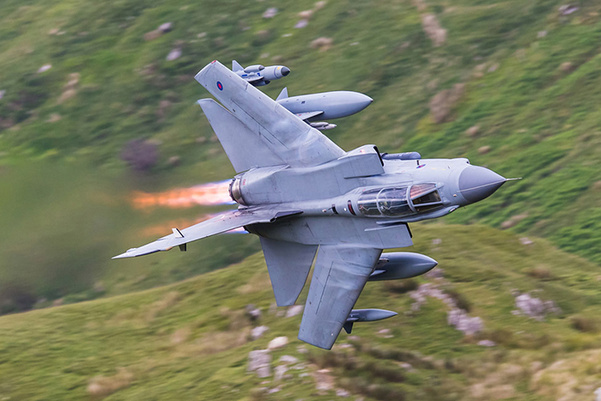 Through the combination of upgrades and improvement on its capability from the previous version, Tornado GR4 is very capable frontline aircraft that is well-known for its amazing swing role capabilities. According to BAE System’s official website, it was stated that the Tornado GR4 is still currently active in service with Iraq Royal Air Force and Syria Royal Air Force and the Royal Saudi Air Force still uses them today. 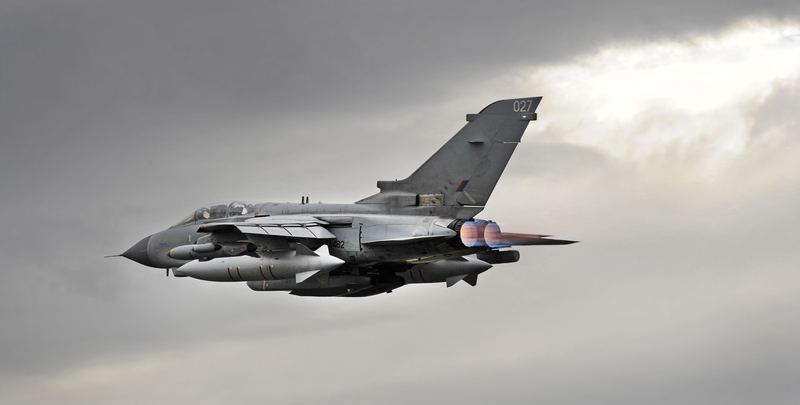 Despite that Tornado was first introduced more than 30 years old ago, the Tornado GR4 still serves as a frontline aircraft for BAE Systems customers because of its 1.3 Mach max speed and a wide range of integrated weaponry. To collect more spare parts for the Tornado GR4, BAE Systems implemented a Reduce to Produce (RTP) programme after the RAF Tornado F3 was withdrawn from service in 2010. The programme was based on RAF Leeming and it salvages parts from the F3 aircraft fleet. RTP’s objective was to reduce the cost for performing the support on the Tornado Squadrons while at the same time, maintain a full range of spares supply chain for the Tornado aircraft. Since the programme’s inception, the teams were able to salvage around 800 to 1200 parts per airframe, resulting in a huge success, which then directly translates to huge savings in cost for the Royal Air Force.